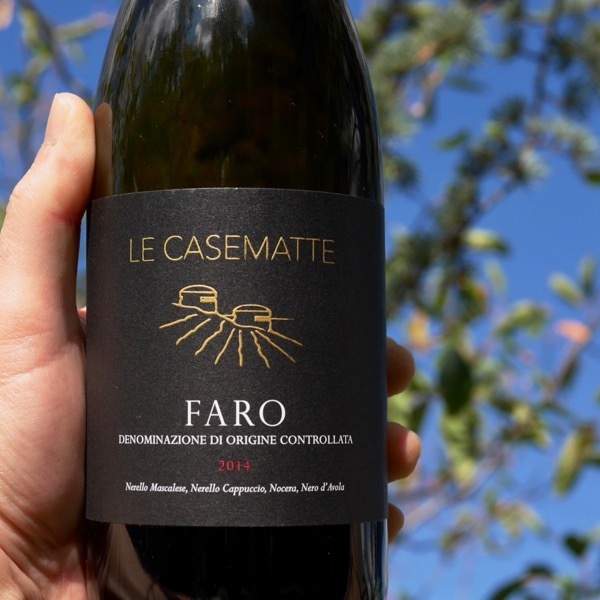 There is a lot of confusion around natural wine, for several reasons: it lacks a consistent definition, consumers don’t truly know what it means, there are many makers that abuse the label and use it as an excuse for making bad wine. My default position, the wine still has to be delicious in the glass and be begging for you to drink more no matter what name it has. For most that will come with an overlay of personal preference. The discussion of what’s on trend then comes into play. Particular styles and varieties go on a roller coaster ride of popularity, but, that’s for another time. Ask many consumers and a portion of them will say that natural wine is that cloudy stuff that smells kinda funky. If you wanted a truly natural wine, you’d need to find a wild grape vine growing on a tree, not, a trellis, hope the animals hadn’t eaten the grapes before they were ripe, the berries had fermented on the bunch without shrivelling and that you could simply walk up and pluck one from the bunch and hey presto natural wine packaged in a grape skin. To be more pragmatic if we define natural wine as not using chemical herbicides, fungicides, and, fertilisers in the vineyard, though allowing machines to be used to manage it, encouraging bio-diversity (ironic given the mono-culture of grapes that typically exists in vineyards) use of wild yeast and bacteria for malolactic and alcoholic fermentation, not using new or young oak that might impart aroma, flavour, and, tannin into the wine, not filtering, and, using only a little sulphur at bottling as a preservative we have a base to start from. This is not necessarily complete and not necessarily the definition I’d use if I governed a theoretical body of natural winemakers. This is just a group of factors, that on analysis, are applied by many natural winemakers. One additional overlay to natural wine is minimising the impact on the environment end to end. Seeing natural wines in resource intensive heavy weight bottle goes against this. This also supports not using earth or pad filtration which can impart flavour to the wine and in the case of earth, it isn’t exactly the safest thing to use in a winery. I would argue that cross-flow filtration might be acceptable. We enter the realm of lack of definition again. Is it OK to pump a natural wine? Is it OK to use a concrete vessel? We know making concrete releases an incredible amount of CO2 into the environment. What about wax lining the concrete? Is it natural wax. Tartaric acid is natural, citric acid is natural. Do I Like Natural Wine? So, to answer Wine Experience’s questions of where I stand. 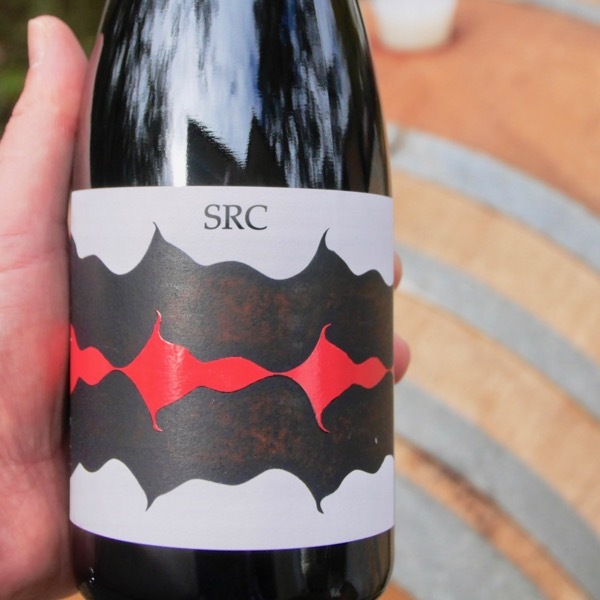 When grown and made WELL with attention to detail natural wine can be a thing of beauty. As a generalisation, in the vineyard, vines tend to be more balanced, have lower yields and the resulting quality of fruit is of high quality. Fruit can be picked ripe earlier in the season taking it out of the danger window of bad weather and will be healthier. By healthier I refer to the population of good yeast and bacteria on the fruit before it is picked, sick fruit can have a bad population of yeast and bacteria and be depleted of the necessary nutrients for a wine to ferment successfully. The end results can be incredibly vibrant, vital and personality filled wine of great complexity and harmony. Non-‘natural’ wines with minimal intervention and sometimes greater levels of intervention can have these characteristics too. If a little hit of acid (which reduces the amount of sulphur required), a puff of sulphur, a tickle with some crystal sunshine or liquid gold H20 makes a better wine I’m good with that. The reality is that very few vineyards and wineries have the luck for all of the pieces to fall into place and year after year be able to produce sound, balanced fruit that can make a great wine naturally. In the winery making natural wine is not an excuse for laziness. Excessively reduced wines, cloudy wines, heavily oxidised spoilt by oxygen wines, oxidative wines are fine (wines exposed to oxygen to enhance them), volatile wine, wines spoiled by bad bugs, these are not things of beauty! As an example, the wine I make is unfiltered. We bottled our 2016 Shiraz sourced from the Syme Vineyard about a month ago. We took the time to naturally settle it and rack (decant it) leaving all sediment behind. When bottled it had a turbidity (clarity) of 6 NTU (lower is better), if a wine looks slightly cloudy it will have a NTU of at least 50. This basically means the only additional filtration that could have been done was pretty much a sterile filtration which is not needed for a wine that has no residual sugar, not had any nutrient added, has completed malolactic fermentation, and has an appropriate sulphur addition. When I taste a wine that has large amounts of sediment in the bottle under the pretence of being ‘Natural’ I am incredibly frustrated. This dulls the aroma, the flavours, and, destroys the texture. Very few customers understand this and know how to successfully decant a bottle in this condition. All because the winemaker was lazy. It is incredibly un-natural to produce a bad wine, use an incredible amount of the planet’s resources and energy to make it, transport it, get it into a wine lover’s glass and then give them a less than optimal experience. 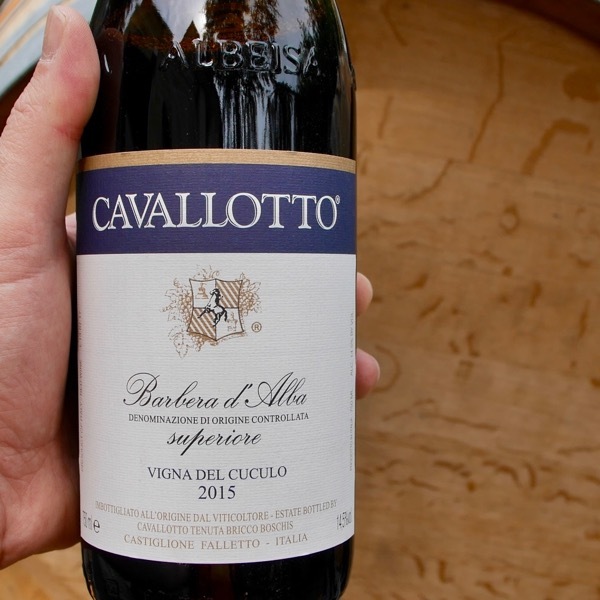 In a nutshell, I am in favour of many of the ill-defined principals of natural wine, and, great natural wines are made around the world with many not labelling their wines as such. No, I am not in favour of tricked up lab made wine. Yes, I am in favour of having deep knowledge of viticulture, and, winemaking, knowing the rules and then breaking them. If natural grape growers can spray their vines with solutions of copper and sulphur, should they be allowed to add copper to wine to remove hydrogen sulphide, smells like rotten eggs and is toxic? It is produced by stressed yeast during fermentation? The amount of hydrogen sulphide produced varies according to the variety, Shiraz gets stinkier than Cabernet, the nutrient levels in the must (unfermented grape bits), not enough and the yeast run out of food get stressed and produce hydrogen sulphide, and fermentation management. Yeast require oxygen to build strong cell walls and maintain their integrity in the pH hostile environment of a fermenting wine. Actively managing a ferment to introduce oxygen for the yeast can reduce hydrogen sulphide production by keeping your yeast population healthy and vital. Our article “Buggy Moving Ferments are Cranking – Bathtub Winemaking Project Day 11 Episode 1” explores this including a video of how we manage the ferments. Using the label natural wine as an excuse for simply chucking grapes in a vessel and forgetting about them is, again, lazy! If the ferement starts to get reduced often all you have to do is introduce oxygen. There are plenty of ways to do it! Copper is added to wine at levels often between 0.25-2 mg/L, if done at the right time in the right way (near or just after the end of fermentation), the vast majority of the copper will be removed by natural sedimentation with the gross lees (yeast and solids in the ferment) followed by racking (decanting) the clear wine from the lees. We run through this process in the article Bathtub Winemaking Project Day 20 Racking Bathtub Shiraz V17 which includes a video walking you through the process. The legal limit for copper in wine in the US is 0.5 mg/L and 1 mg/L in Europe. A well made wine will have levels less than this. Let’s not forget that most of us drink our water from copper pipes and drinking water naturally contains a certain amount of copper anyway. Beyond that, there is actually a recommended daily intake of copper. Typically water is considered to have to high a level of copper when it reaches levels of 1.5-2 mg/l with 1 mg/L being acceptable. Natural wines are typically sealed with cork. If you are to be dogmatic about what you add to natural wine, consider this. 3-7% of wines are corked, tainted by primarily by TCA, amongst other compounds. TCA or Trichloroanisole, is derived from man-made chlorophenols introduced to the cork at some point during growing, harvesting or processing, and, then metabolised by funghi to produce TCA. Is this more natural than using an inert screwcap to seal a bottle? Like copper, chlorine is in our water supply to. If you are making natural wine do you need to use an unchlorinated water supply or remove chlorine from the water using an acitvated carbon filter. There’s an ongoing joke, that is close to reality. If you want to make a small fortune in the wine industry start with a large one! Agriculture can be particularly cruel. Let’s take Serrat, an industry success story. When you hear their story you wonder how they exist at all. Choosing to close plant a vineyards requires extremes of manual labour. Just getting it established only to have the 2009 fires wipe out portions of the vineyard, requires great resilience. Follow that with no substantial crops from 2010, 2011, and a hailed out 2012 and you realise just how crazy you need to be to grow grapes and make wine! Now to add insult to injury, phylloxera is moving through the Yarra Valley like the plague. You guessed it they’ve had to replant major parts of the vineyard. This does not necessarily argue for or against natural wine practices, it simply points to the fact that vigneron’s live on a knife’s edge. More directly to the argument, if they had a crop at risk of being lost to disease could you blame them for spraying a vineyard. Looking at the winery, let’s look at our very own 2017 Wine Decoded ‘Bathtub’ Shiraz. The second fermentation, malolactic fermentation, that converts malic acid to lactic acid stopped before it had finished. The consequence, if you bottle it without sterile filtering it, there is a significant risk the wine will undergo malolactic fermentation in bottle, turning the wine into a dull fizzy unpleasant drink. So, I bought a packet of bacteria, threw it in the wine and malolactic fermentation finished. What’s the consequence for me? I have $100,000 of wine that will be (assuming I don’t F*$k it up from here) delicious, compared with potentially pouring it down the drain and having to give the bank manager my first born and left testicle! Again, having a deep knowledge of viticulture and winemaking is a beautiful thing, as is science. That doesn’t mean you have to conform to ‘accepted norms’ for the industry. The wine industry is one of innovation and experimentation, often through necessity.